After the release of NBA 2K17, 2K Games is determined to make MyPark a more interesting and fun game mode for all players. 2K Games' basketball simulation game "NBA 2K17" just came out, making fans of the franchise excited about the new content. But more than new game modes and gameplay features, the "NBA 2K17" also brings a revamped MyPark, which got everyone talking. Players are all about the NBA 2k17 new features and the entertainment that comes along with it. The main objective of video games can sometimes be boring, so developers create other modes to make things more interesting. Sports video games have other modes to break the cycle of playing a full game over and over again. The latest improvement in the game is the constantly updated MyPark feature. It gets new events to keep things interesting. Another update is that the “MyPark After Dark” event will go live. Talk about a unique way of taking a break from playing basketball matches. This event allows players to mingle with other players. The park serves as a go-to online hub that comes complete with special effects, a crowd and a party SJ as well. While partying gets people to socialize, there are also some dunk competitions and three-point shoot outs for entertainment. The current MyPark mode has a lot of improved features despite being a signature mode in the game. The NBA 2K17 new features for MyPark already has five events for players to try out. The newest changes for the game are revamped park cards that players can use during a game. According to online producer Shane Coffin, the park cards are now easier to use. However, the biggest change gives good teammates the chance to use more than one card in a game. 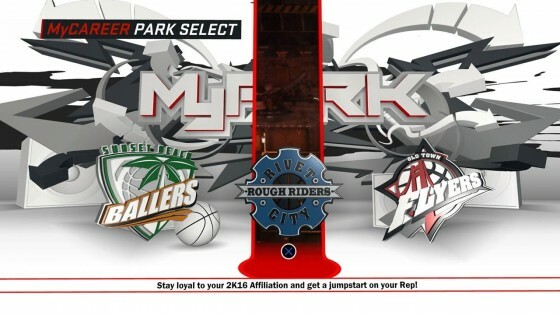 It also includes Park Badges and more customization for the chosen player card during the event. Those who are interested in trying out the NBA 2k17 new features can do so when they buy the game. 2K17 is the latest installment of the hugely popular 2K Games basketball franchise. The game was just released this month. Want to share something for NBA 2K17 MyPark? Let us know in the comments below. For more NBA 2K17 tips and tricks, stay tuned to U4NBA.